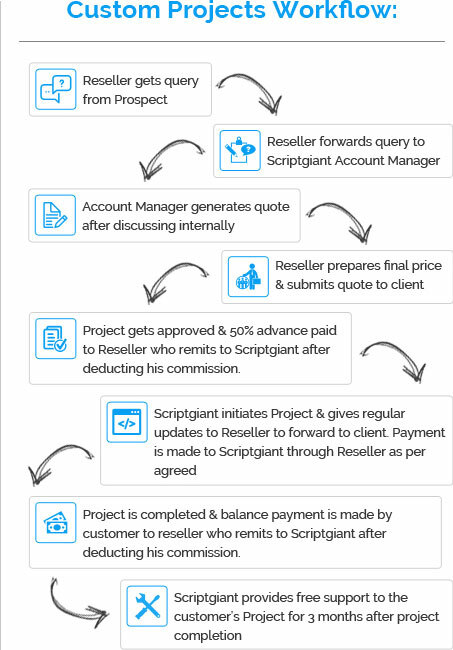 Scriptgiant's Reseller Program provides you with an unmatched opportunity to expand your business globally. Your customers can choose from a comprehensive product portfolio of more than 100 products, with high reseller margins for you. Our products are backed by our world-class customer support. Get a fully White Labeled Store giving you access to more than 100 of our products. 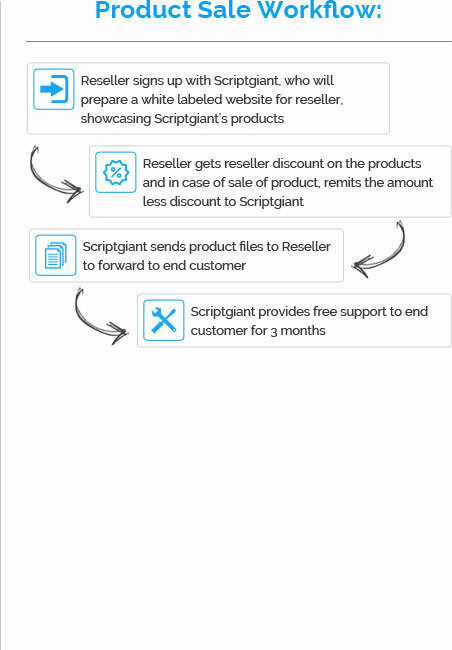 Provide white labeled support from our end and leverage Scriptgiant experts to close sales on your behalf on the phone/over email. We will execute the projects you procure in a transparent fashion so that your customers think that you are executing them. We will include you in our region specific marketing campaigns which will help in generating new leads for you. Get promoted by us as being authorized resellers acting on our behalf. Work with our dedicated account managers. Powered By MME Technologies Inc.